Sure, the meat is usually the star of any good cookout, but you've got to eat something instead of crowding around the chef like hungry vultures. 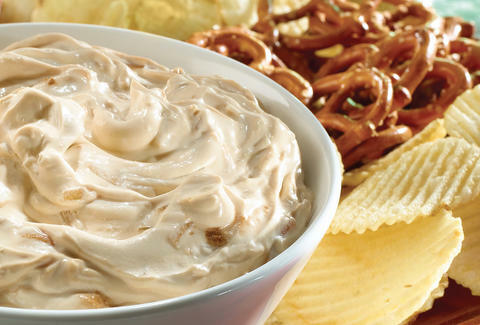 A little TABASCO® Chipotle Sauce in this dip turns veggies into savory spoons. To eat more dip with. Combine all ingredients in medium bowl. Chill, if desired. Serve with chips, veggies and pretzels.